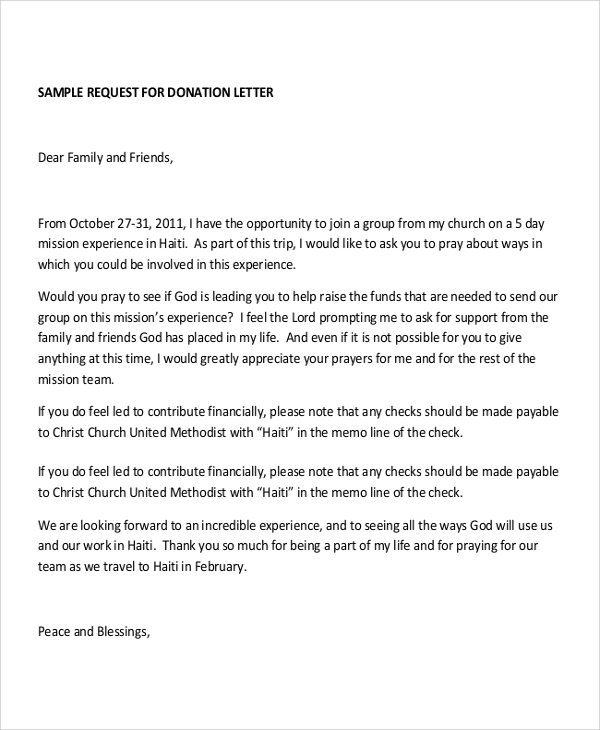 You need a donation letter having all the details about the donation, along with the reason for your donation to an organization. Apart from the donors, organizations also need a letter to request for donations. Rather than creating a donation letter from scratch, one can use a donation letter sample to make the job quicker and easier. The below Sample Letters have a detailed format and all the required information which one needs to give or accept a donation. If you are part of an organization which accepts donations, you’ll be required to send the donors a request letter to ask for donations. You can use this request letter sample for that purpose. Moreover, the sample can also be tailored to add specific information about a particular cause. Many organizations organize fundraisers where the donors are invited to donate money for a noble cause. 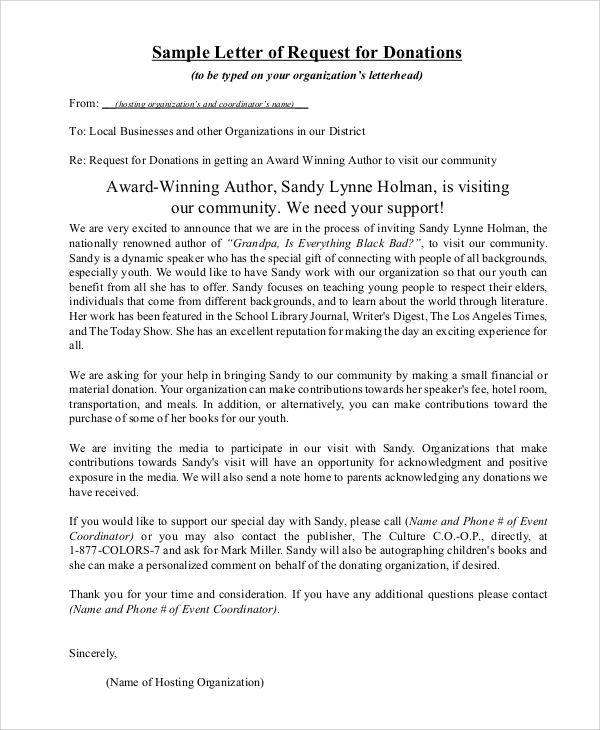 This donation letter for fundraisers can be used for such events. Details about the event, cause, and how one can donate can be stated in the letter. 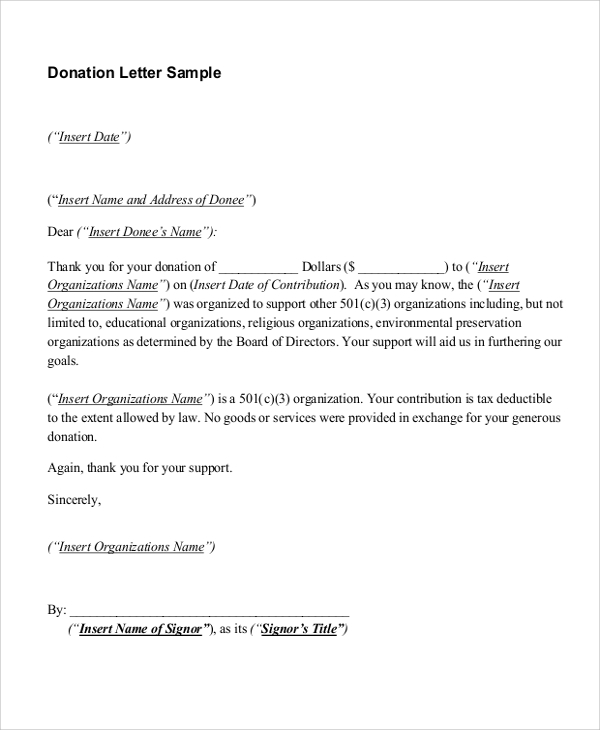 When someone donates money to an organization, the organization often sends a letter of appreciation to the donor and this Donation Thank You Letter Template can be used for that purpose. Details about their donation, cause, etc. can be mentioned in the letter. Many organizations all over the world function on the donations that they receive from their donors. Be it an organization looking for a donation or a donor looking to donate, a Donation Letter is a must. 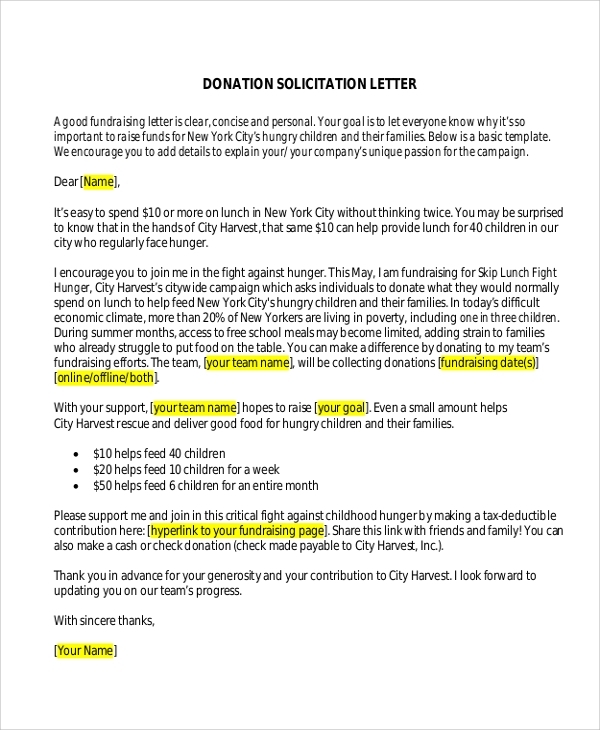 One can choose from the available donation letter samples and edit the letter before printing the same to give a donation, ask for donations or send appreciation letters to donors for their donation. These letters are easy to edit, print, and use, to ensure that an organization is able to create their customized letters. 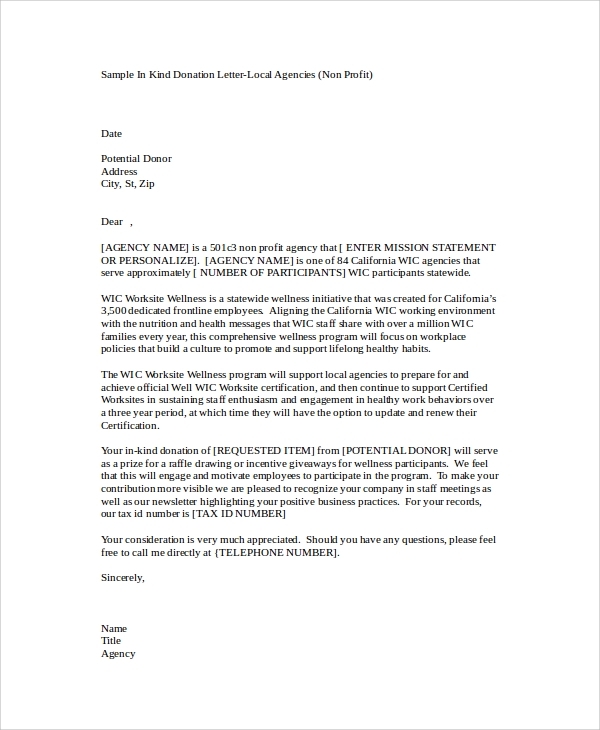 If an organization needs donation for a cause or its functioning, they can use this donation solicitation letter sample to send them to the donors. 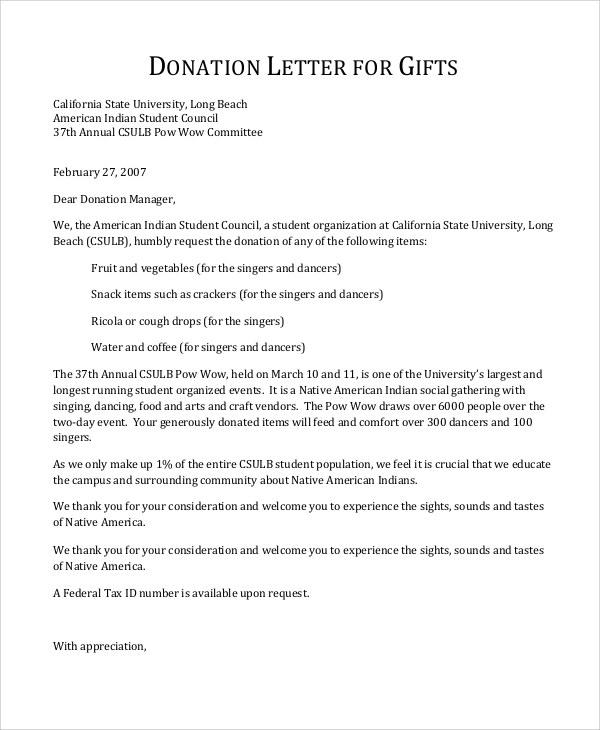 The amount they are looking to collect, the cause, and how to make donations are some of the important parts of this letter. 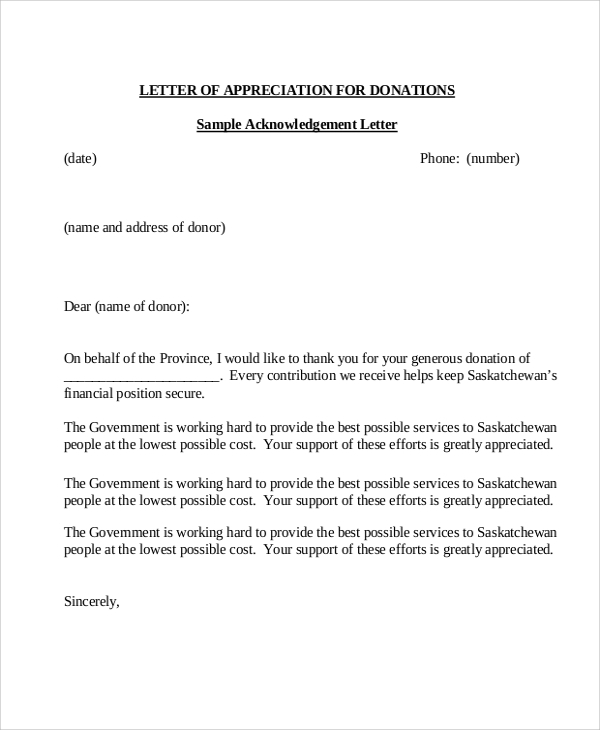 After receiving a donation from a donor, an organization can send them this thank you letter after editing the relevant details to show how much the organization appreciates their donation. Details about the donation event if it is to be organized for the donors, cause, etc. can be added to the letter. 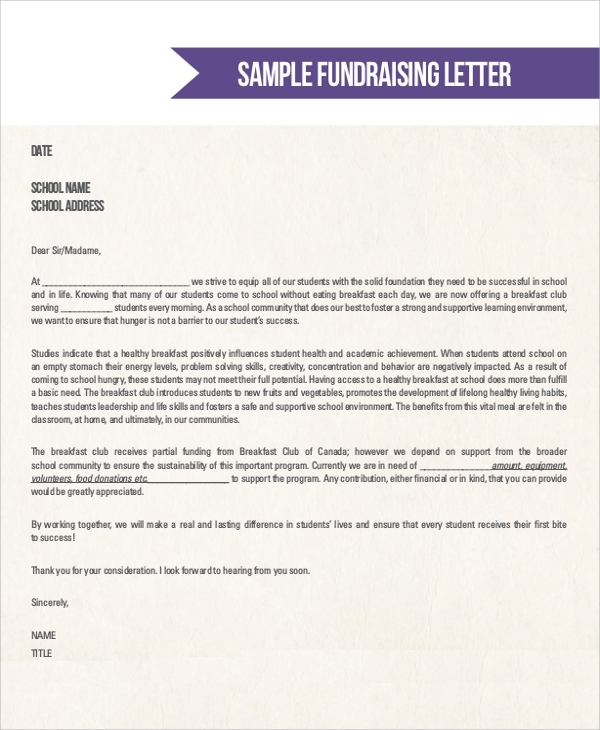 Why use a Donation Letter Sample? A donation letter sample allows you to easily create your customized and professional Donation Letter Format and ensures that the letter is created in the least possible time. One can directly download the letter sample and print it or make some changes to it before printing it to ensure all the relevant information is covered. 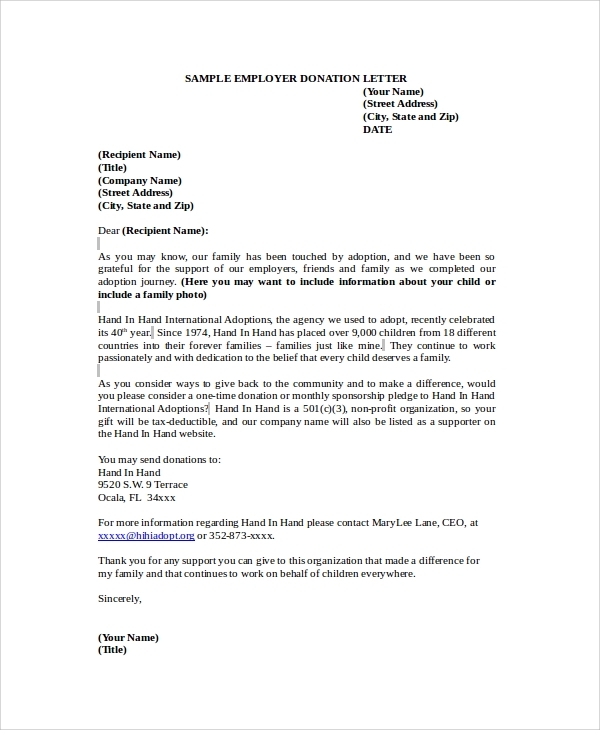 How to Select a Donation Letter Sample? 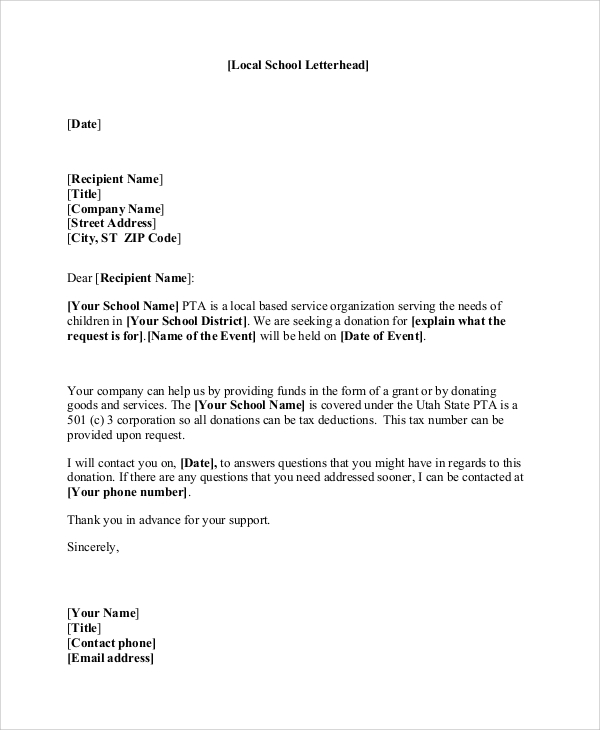 A variety of donation letter samples is available on this page to ensure that organizations have letter samples for various applications, like Donation Receipt Letters, letters asking for donations, thanking for the donations, fundraiser letters, etc. While you might have a specific letter need, an organization generally needs all the different types of letter samples available here. Thus, all of these samples can be downloaded for various applications. These Donation Request Letters, donation appreciation letters, etc. allows organizations to quickly create professional donation letters. These letters are carefully drafted to ensure that the organizations are able to provide the donors with accurate information about the cause and how they can contribute for the same. Download any one based on your requirement or use all of them to keep up with day-to-day activities of the organization.